7 Best Fruits for Weight Loss - Eat. Fit. Fuel. Yes, the best way to lose weight is to incorporate exercise into your life. That in conjunction with eating well. Eating well to me is eating real food, unprocessed food. I eat mostly vegetarian, because it simply feels better and I’m filling up on nutritious, healthy eats! Here are my go to fruits that are filling and offer healthy benefits. Papaya is definitely something you should add to your diet. It is the best weight loss promoter to be seen. You are going to shed a lot of weight if you chose to have a bowl full of papaya for lunch instead of your normal meals. They are very low in calories and edible as well. You can also make some great fruit salad using papaya, pineapple, melon and apples. A great way to start your day can also be with the help of papayas. They will help you digest food better and keep you away from lethargy. 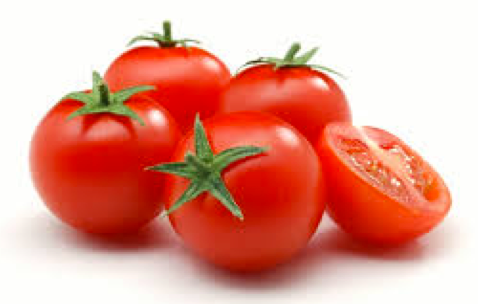 Tomatoes are another fruit that is beneficial for weight loss. Being very low in calories, you can have as much as you like. However, having this alone can be a little boring to your taste buds. So you can simply add them to your salads. Take some cucumber, tomato, onion and sprouts. Chop the vegetables, add some lime juice and stir. A cup full of salad that contains something as low in calorie like tomato should not exceed more than 90 calories. The first fruit you need to have in order to lose weight is apples. They are rich in nutrients and are definitely something you should add to your diet. If you ever speak to a dietician and expert, they will tell you to munch on an apple instead of any other fruit. Since they are so low in calories and so full of vitamins that anybody can expect to see great changes only within a couple of months. Another fruit you can add to your diet is coconut. You can have coconut water whenever you feel thirsty or just the skin inside it. The fruit is edible, tasty and will definitely help you lose weight. Since this is very famous among Indians, you can try making many kinds of low-calorie desserts using this. You will definitely feel a change in your body within some time.